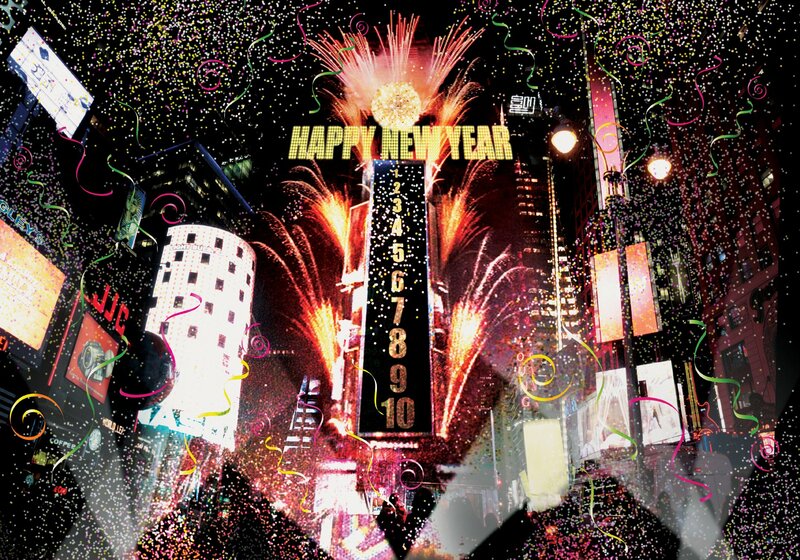 For some reason or other, I have often watched the movie It’s a Wonderful Life on New Year’s Eve over the years. The movie is actually set on Christmas Eve, but in its final scene the entire cast strangely bursts out in a chorus of Auld Lang Syne, so maybe that’s why I’ve moved it back a week. At any rate, it occurs to me that many of you will watch, or have already watched, the movie this holiday season, so I thought I would repost the essay below about how the film conveys a number of profound truths about thinking historically. Part of thinking historically involves learning to appreciate the crucial value of context. Historical context is critical to historical understanding for one basic reason: none of us lives in a vacuum. Humanly speaking, our lives are influenced (not determined, but profoundly influenced) by what has gone before us. Indeed, if there is a single truth that inspires the serious study of history, it is the conviction that we gain great insight into the human condition by situating the lives of men and women in the larger flow of human experience over time. Waxing poetic, historians sometimes liken human history to an enormous, seamless tapestry. (Imagine the wall of a European castle here.) Although it is possible to extract and examine a single thread, it is in contemplating the larger pattern that we can best understand the purpose and significance of the individual fibers. In sum, the particular makes little sense without reference to a larger whole. Similarly, when wrenched from its historical context, an isolated historical fact may intrigue or entertain us (good for crossword puzzles or Jeopardy), but it has nothing meaningful to teach us. No context, no meaning. It’s that simple. Curiously, not everyone finds it easy to relate to a textile analogy. This is where Hollywood comes in handy. When teaching on the importance of historical context, I often enlist the help of a movie that many of you are likely to watch this Christmas season. 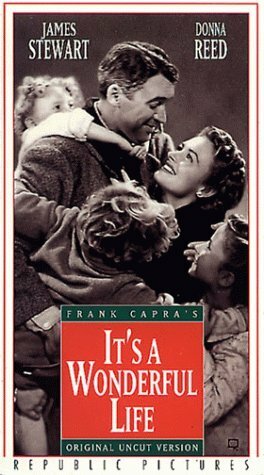 I have in mind Frank Capra’s holiday classic, It’s a Wonderful Life. Hollywood rarely aids the life of the mind–and in truth, the movie’s theology is really messed up–but when it comes to the importance of historical context this film gets it right. To begin with, the very structure of the movie teaches that context is indispensable to understanding. If you haven’t seen it (and if so, what’s the matter with you? 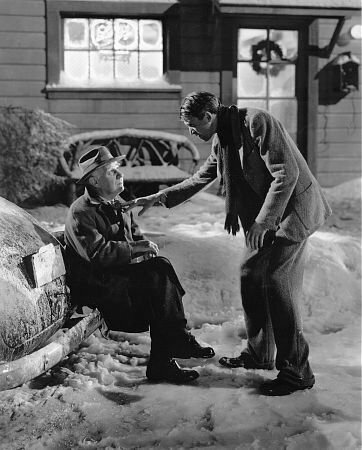 ), the story begins on Christmas Eve, 1945, as countless prayers waft toward heaven on behalf of the protagonist, down-on-his-luck George Bailey, played by Jimmy Stewart. 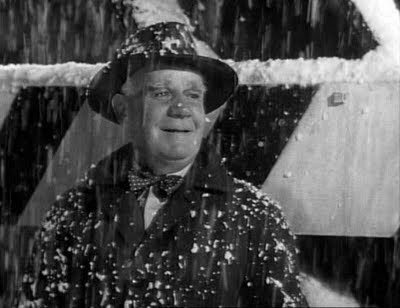 In response, the senior angels Franklin and Joseph call for George’s guardian angel, an “angel second-class” named Clarence Odbody, played by the marvelously eyebrowed Henry Trevor. But not everything that has gone before will be relevant. In briefing Clarence, Franklin and Joseph practice what one historian calls the principle of “selective attention.” Rather than overwhelm Clarence with a flood of facts, they choose the events and circumstances in the past that have been most influential in shaping the man George has become. In turn, this helps Clarence to comprehend what George’s current circumstances mean to him. Both categories involve the kind of personal pasts we preserve and pass on in conversation around the dinner table without realizing that we are functioning as historians But George’s life was also touched by distant, much less personal developments that affected the entire nation or even the world–the kind of events that get into textbooks and which we instantly recognize as “historical.” So, in the flashback we see how George’s past intersected with events such as the world-wide influenza epidemic of 1919, the Great Depression of the 1930s, or the Second World War. One of my U. S. history students recently asked me what my favorite Christmas song was. There are many that I love, and I told him that I couldn’t possibly choose just one, but as a historian—and a specialist on the American Civil War, particularly—I have always been deeply moved by I Heard the Bells on Christmas Day. In its original form it’s not heard too much these days, although several contemporary Christian groups (Casting Crowns and Jars of Clay, for example) have performed variations on it. If you are in the habit of tuning into Fox News, you will know that, for some years now, Bill O’Reilly has been calling attention each December to what he labels the “War on Christmas.” O’Reilly has in mind the various efforts “to diminish the celebration of Jesus’s birthday,” from department stores instructing their employees to say “Happy Holidays,” to public officials banning nativity scenes, to atheist organizations erecting billboards telling children to skip church on Christmas Day. Critics from the left have responded with a smirk and a sneer. The smirk has come mainly from the late-night comedy shows, which have had a field day lampooning O’Reilly and mocking Fox News. No surprise there. Their goal is to get laughs, and they cater to an audience that views political and religious conservatives as silly or stupid. The sneer comes from more substantive responses in venues like the New York Times, the Huffington Post, and a variety of academic blogs. These purport not to entertain us but to educate us, primarily by teaching us some history. If the comedians try to make O’Reilly look silly, the intellectuals try to make him look ignorant. And they succeed, at least to a degree. When O’Reilly laments to his loyal viewers, “I cannot understand for the life of me why anyone would bother trying to diminish the federal holiday of Christmas,” he opens himself up to charges that he is woefully uninformed about the American past. As any number of O’Reilly’s academic critics are quick to point out, there is a long tradition of Christian criticism of Christmas in American history. It was most prevalent among New England Puritans during the seventeenth century, but widespread suspicion of Christmas lingered at least as late as the Civil War. I first really became aware of this while conducting research for my book The First Thanksgiving; What the Real Story Tells Us about Loving God and Learning from History. 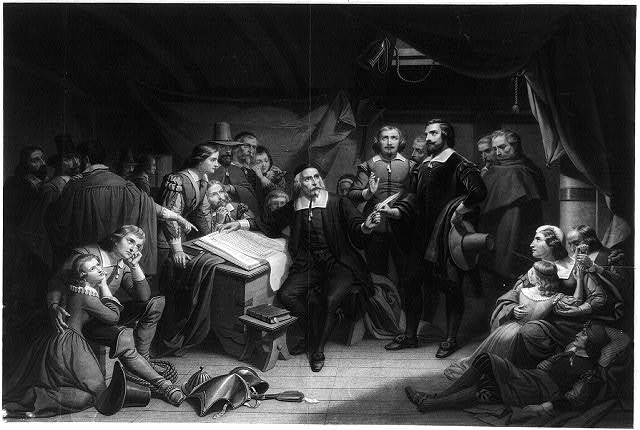 The famous landing of the Pilgrims near Plymouth occurred on December 22, and in his History of Plymouth Plantation governor William Bradford makes clear that the entire party worked all Christmas Day. This was due to principle as much as necessity. The Pilgrim Separatists were a subset of the larger phenomenon of English Puritanism, a movement of English Protestants who believed that the Anglican Church (or Church of England) needed to be “purified” of lingering “Popish” corruption. They determined to be people “of the book” and sought to imitate the early church by doing nothing not clearly stipulated in Scripture. This led them, most notably, to denounce the persistence in Anglicanism of a measure of Catholic ritual and ceremony, as well as the survival of an elaborate hierarchy of priests and bishops. But it also prompted them to condemn the numerous holy days on the Anglican church calendar. The only regular holy day prescribed in God’s Word was the weekly Lord’s Day, they maintained. All other holidays–including both Christmas and Easter–were mere human inventions. So the Governor told them that if they made it matter of conscience, he would spare them until they were better informed; so he led away the rest and left them. But when they came home at noon from their work, he found them in the street at play, openly; some pitching the bar, and some at stool-ball [a game something like cricket] and such like sports. So he went to them and took away their implements and told them that was against his conscience, that they should play and others work. If they made the keeping of it a matter of devotion, let them keep their houses; but that there should be no gaming or reveling in the streets. Since which time nothing hath been attempted that way, at least openly. Puritan ministers like Cotton Mather and Increase Mather likewise denounced celebration of the holiday, noting that nowhere does Scripture identify the date of Jesus’ birth nor instruct Christians to celebrate it. They observed that the holiday as celebrated in England made a mockery of Christian piety and was little more than an excuse for every form of carnal excess and indulgence. Such sentiments were slow to fade, and Boston schools were open on Christmas Day for much of the nineteenth century. So what do we make of all this? Our temptation will be to embrace or dismiss this evidence from the past based purely on its utility. This is because Christmas has become just another front in the culture wars, and to win wars requires ammunition. Conservatives condemn liberals, liberals mock conservatives, and both sides reach for whatever weapons are at hand, including historical ones. If the facts of history can be used against our enemies, wonderful. But if the facts refuse to enlist on our side, we will be tempted either to change them or ignore them. One of the great potential blessings of studying history is the opportunity to see our world with new eyes by entering into conversation with those who have gone before us, men and women not shaped by the cultural values that we take for granted. The poet Samuel Taylor Coleridge said that most of us live like “bats but in twilight,” blindly guided by forces that we never see. Although I suspect that he means well, when Bill O’Reilly marvels that any American would wish to diminish the celebration of Christmas, he is unwittingly encouraging American Christians not to think deeply about the holiday. Born in Germany, Nast came to America as a child in the 1840s and quickly showed an aptitude for art. By his early twenties he was working as an illustrator and cartoonist for several prominent national publications, most notably Harper’s Weekly, the self-described “journal of civilization” which as early as 1860 had a circulation upwards of 200,000. 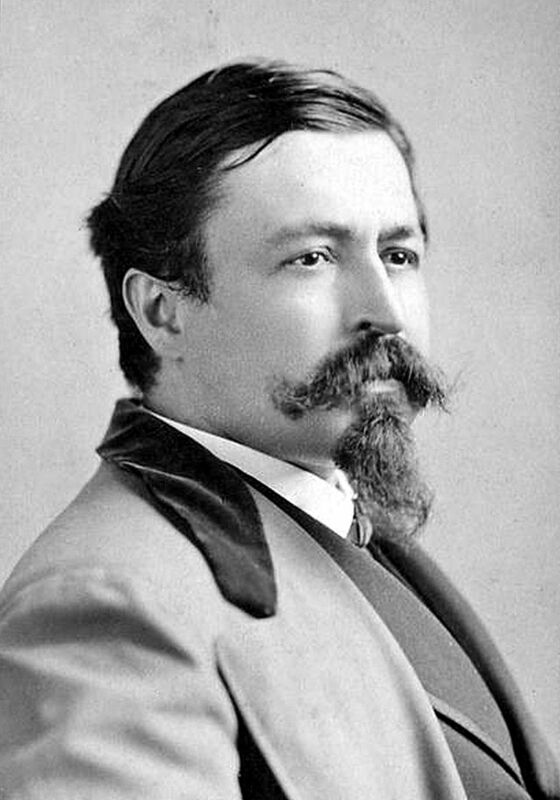 Nast was first and foremost a political cartoonist, and he quickly became widely known for his cartoons attacking municipal corruption–most notably his campaign against New York City machine boss William Tweed, who fell from power in 1871, in so small part due to Nast’s devastating campaign against him. 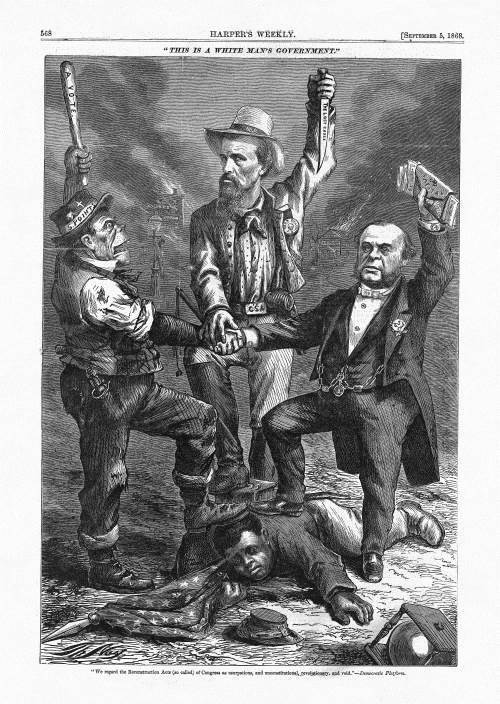 “This is a White Man’s Government” appeared in the September 5, 1868 issue of Harper’s Weekly. The title was inspired by the motto of the Democratic ticket in the upcoming presidential election pitting Governor Horatio Seymour of New York against the Republican nominee Ulysses Grant. 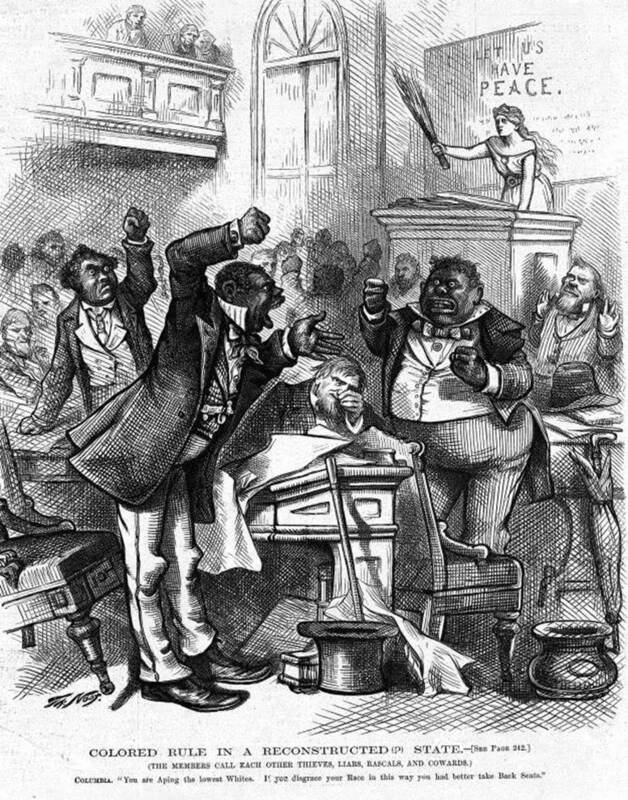 Determined to portray the Republican Party as radical in its advocacy of civil rights for former slaves, Democratic campaign ribbons proclaimed “This is a White Man’s Country: Let White Men Rule.” Nast, a staunch Republican, suggested that Democratic rule would be built on an unholy triumvirate of objectionable elements. Numerically the largest consisted of ignorant northern Democratic voters, most of them semi-civilized, uneducated recent immigrants who had opposed the war. (Nast’s portrayal of Irish individuals in his cartoons is almost always grossly demeaning. The Irishman on the left, wielding a club labeled “The Vote,” has all the features of a monkey.) Second in number would be southern white Democrats, almost all of whom had been disloyal to the Union during the late war. (The figure in the middle is supposed to be former Confederate General Nathan Bedford Forrest, first imperial wizard or the Ku Klux Klan.) The third and smallest element, here represented by a New York City financier named August Belmont, a behind-the-scenes power broker in the Democratic Party, stands for Fifth Avenue types who had gotten rich during the war and who were willing to buy up the votes of the urban rabble to promote their nefarious schemes. (Belmont is clutching a wallet stuffed with cash for that purpose.) Underneath the three lies a prostrate black Union veteran, dressed in uniform, clutching the U. S. flag, and reaching out for the ballot box. Nast here is making a powerful argument for black civil rights by reminding readers that thousands of southern blacks had risked their lives in support of the Union, in stark contrast to the pillars of the Democratic Party. Much the same message comes through in this untitled Nast cartoon that appeared in Harper’s Weekly in October 1874. The phrases at the top of the cartoon are all pointed references to the Democratic Party. “The Union as It Was” was a popular slogan of the 1864 Democratic presidential campaign of George McClellan. “This is a White Man’s Government,” as we have already seen, became the primary Democratic rallying cry of the Seymour campaign four years later. “The Lost Cause,” just above the skull and crossbones, refers to diehard former Confederates’ conviction that their cause had been just. 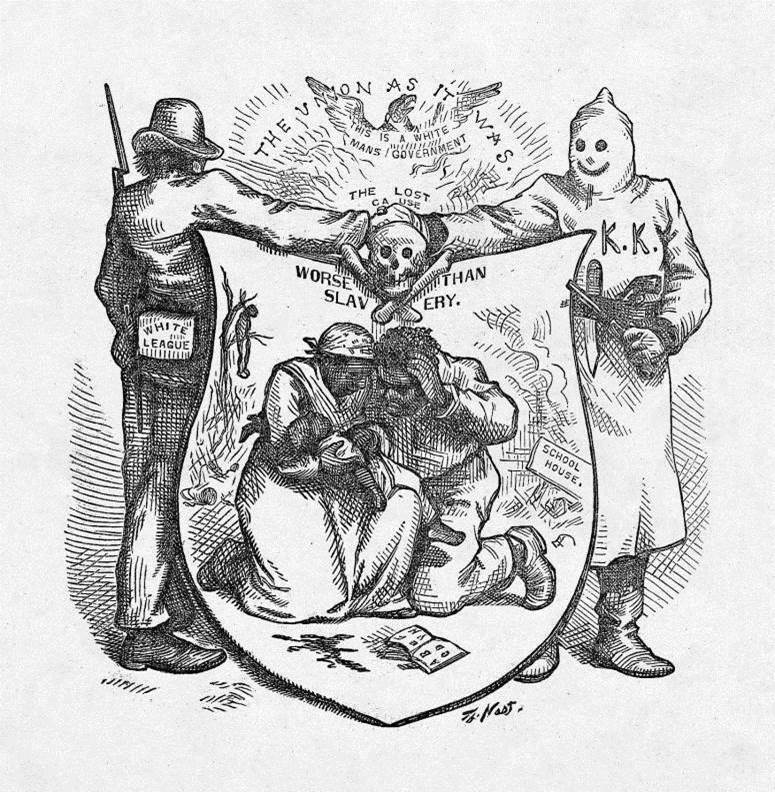 The two white figures that frame the cartoon (labeled “White League” and “K.K.K.”) allude to two white supremacist organizations that terrorized former slaves in the wake of emancipation and Confederate defeat. The central focus of the cartoon shows grieving African-American parents holding their (apparently) slain child. A spelling book lies on the ground near spatters of blood, and in the background are scenes of a lynching and a burning school house. 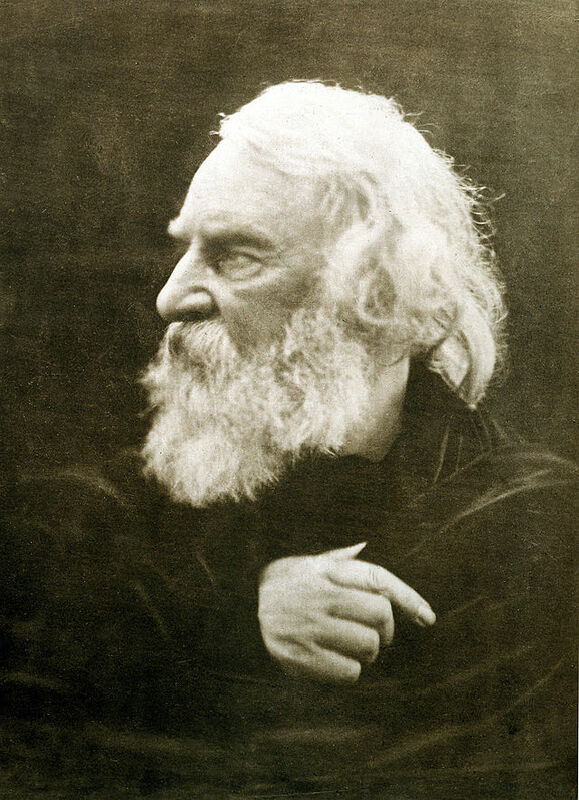 In describing the scene as “worse than slavery,” Nast was telling readers that a Democratic victory would mean the end of Reconstruction and the abandonment of four million former slaves to virtual re-enslavement. But Nast wasn’t always so sympathetic in his portrayal of African Americans. To be sure, the artist shared the predominant Republican position that the former slaves would be exploited and even brutalized if left to the mercies of the (Democratic) southern white majority. But he became increasingly disillusioned by political corruption in the Grant Administration and increasingly disenchanted with Republican efforts to install black officeholders in the white majority South. The drawing below, entitled “Colored Rule in a Reconstructed (?) State,” appeared on the cover of Harper’s Weekly the same year as the previous Nast cartoon. It purports to illustrate an alleged episode in South Carolina, the one former Confederate state where, if only for a brief period, African Americans constituted a majority in the state legislature. However much southern blacks might deserve federal protection from white terrorism, Nast seems to be saying, they are far from ready to participate fully in their own government. But first Nast had to figure out for himself what Santa looked like. His first attempt came in 1863, at the height of the American Civil War. In “Santa Claus in Camp,” Nast sketched Santa as a large man decked out in red, white, and blue and delivering presents, not to sleepy children, but to Union soldiers. 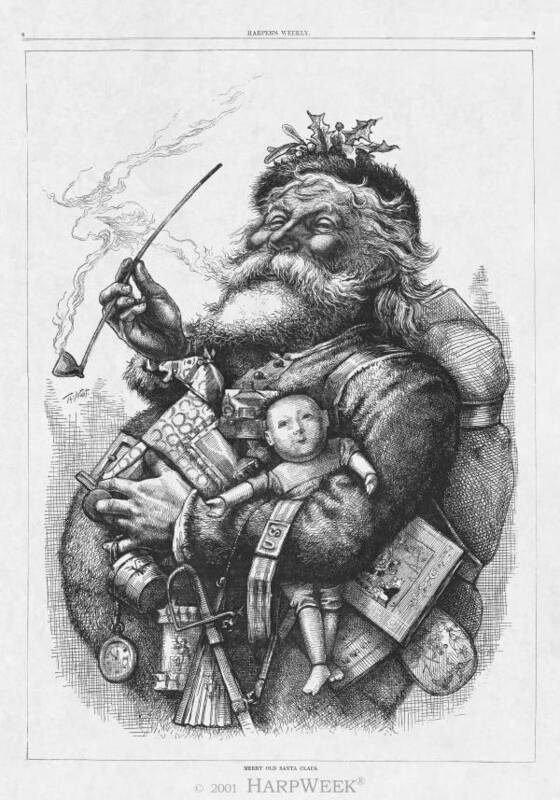 (I call this version “Yankee Doodle Santa.”) In an early post-war rendering (the 1866 cartoon “Santa Claus and His Works”), Nast portrayed Santa more in keeping with the description in Moore’s poem. This Santa is clothed in a dark suit and is literally the size of an elf, so short that he had to stand on a chair in order to reach the stockings hanging from the mantle. As the years, passed, however, Nast’s Santa grew in stature and exchanged his brown suit for a red one. The 1880 sketch below is probably Nast’s best known Santa and is still reproduced even to this day. What’s your reaction to these statistics? The first thing that struck me is how incredibly ignorant I am about the contours of Christianity in other parts of the world. Although I am a Christian historian, I am not primarily a historian of Christianity, and so the figures that Noll shares speak to a vast field about which I have little or no knowledge, much less expertise. Beyond that, I wonder how many of us might be troubled by these statistics, especially those that seem to indicate that the United States is declining in its significance within the larger story of world Christianity. Ought we to be troubled? It seems to me that there are two questions here that might easily be conflated. The first involves the intrinsic vitality of Christianity within the United States. Broadly speaking, is the church in this country alive and well, holding its own, or declining as a living testimony to the truth and power of the gospel? The second involves the comparative prominence of U. S. churches in the larger story of world Christianity. Do Christians in other parts of the world, for example, look to American churches for leadership, encouragement, and other forms of support? These are related questions but they are not identical, which means that the answer to one does not automatically determine the answer to the other. On the one hand, if Christianity in the United States is like salt that is losing its savor, then we should expect to see America’s role in world Christianity decline. But why should the reverse also hold true? If the United States is home to an ever shrinking proportion of the world’s Christians, if the world looks less and less to us for leadership, is that automatically cause for concern? 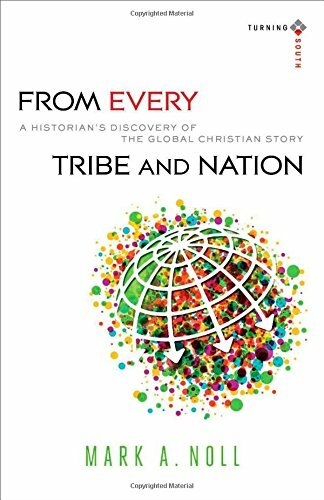 Or might it instead be cause for rejoicing, interpreted as evidence of the spread of the gospel to “every tribe and nation”? This is a complicated question, and I won’t even pretend to try to answer it. But as a Christian historian fascinated by the intersection between faith and American history, I do want to think about how we respond to it. My guess is that our initial, unguarded response to the question says a lot about what we think America’s role in world Christianity ought to be. That assumption, in turn, speaks to our sense of who we are. It reveals something about our collective identity, in other words–our identity not just as Christians but as American Christians. As a historian I’m convinced that our sense of collective identity both shapes and is shaped by the stories we tell about our past–the way that we remember our history. The Light and the Glory is the most widely read Christian interpretation of U. S. history ever published. Readers learn from it that the United States wasn’t just founded as a Christian nation–it was God’s chosen nation. Logically, shouldn’t those who accept this view of American history see the changing contours of world Christianity as God’s judgment against His chosen people, i.e., the United States?